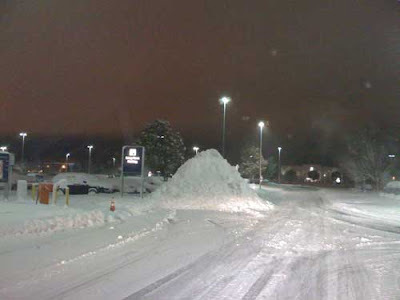 Check out this snow from the South Bend, Indiana airport from Friday morning. Thanks to Tom Skilling and his gang at WGN-Chicago and their weather blog. According to Tom, this is the 2nd lake effect snow they've had and some parts have received up to 13.5". Another lake effect storm is expected at the first of next week. A post from Bob Swanson at "The Weather Guys" from USATODAY.com about the cuts going on at The Weather Channel. Sad to hear that Dave Schwartz, Cheryl Lemke, and Eboni Deon are facing layoffs.